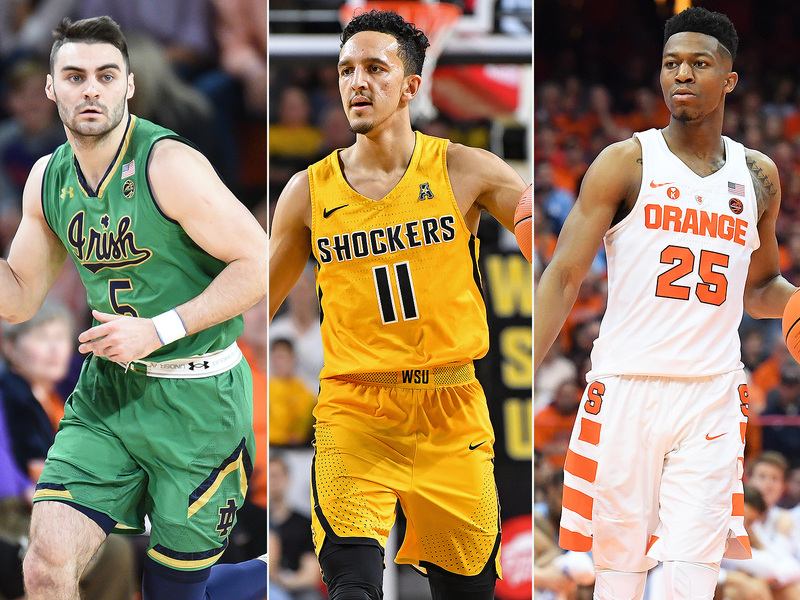 Which school has the best set of uniforms in college basketball? We polled our staff to create the top 10. Uniforms are a popular topic in every sport. They’re a source of pride, a showcase for school colors and, perhaps most importantly of all, a source of outsized amounts of analysis and debate. 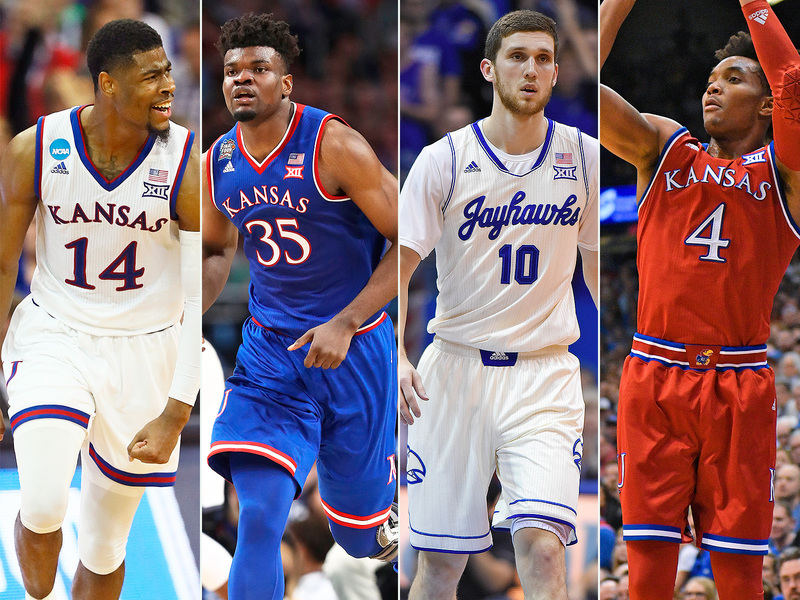 As the college basketball offseason approaches the finish line, we asked our writers and editors to rank their 10 favorite uniforms in the sport. The choices were to be based off of each school's most current set of uniforms, and voting for a program’s entire set of uniforms instead of one specific look. Like we did for our top 10 upsets of the last decade post, we averaged the weighted rankings to come up with this list, with some honorable mentions at the bottom. The Tar Heels cruised to the top spot in this ranking as the SI staff's clear favorite uniform in college hoops. The Carolina blue-dominated unis are a staple of the sport, and the argyle stripe down the side of both jerseys adds a unique touch. Along with the rest of the event's participants, UNC's uniform got a new look (above left) at last year's PK80 Invitational: Nike opted for all black letters and numbers on top of solid Carolina blue, with black argyle on the right side. In their first year as an Under Armour school, the Bruins kept it classic in 2017–18. UCLA's traditional look is always a standout, with its blue, gold and white color scheme and piping producing a sharp look for both their home and away uniforms. The JRW patch on the top right of the jerseys remained in honor of Bruins coaching legend John Wooden, who died in 2010. The Jayhawks largely stuck with their traditional white home and blue away uniforms (first two from left) last season, but they did break out some alternates for specific occassions. The look that puts "Jayhawks" in cursive and also features an outline of the mascot logo on the shorts is particularly strong. Kansas also had a set of gray jerseys (not pictured) and even broke out the crimson reds (fourth from left) for senior night against Texas at the request of Devonte' Graham. The national champs had uniforms fit for the occasion, as the Wildcats crack the top five of our ranking. Villanova relies heavily on the navy and white look, with a splash of light blue mixed in to its uniforms. It also has a twist on its regular home-and-aways (right and middle, respectively), with an outline of light blue around the lettering, along with modified piping and a Wildcat logo on the shorts. As a No. 1 seed, it wore the white uniform featured on the left for its entire NCAA tournament run. The Golden Eagles have a consistent yet diverse set of uniforms, utilizing the same base look of a solid color with a striped pattern on the side. What makes them stand out is that those uniforms come in four different colors: navy, gold, light blue and white. Marquette used all of them in its rotation throughout the season. North Carolina may get the nod in this chapter of one of college basketball's greatest rivalries, but the Blue Devils' duds are historically good in their own right. Last season, Duke trotted out a number of different looks, including two different versions of its home whites and road blues, the majority of which are shown above. Duke also utilized a sharp black uniform (third from left) for multiple games. The Hoosiers’ crimson and cream combos make for one of the cleanest, most classic looks in the nation. In addition to the traditional home and away uniforms with red and white piping, Indiana also featured an alternate, even simpler design, seen on the far right. Being in the Final Four has its perks. With a boost from some extended March exposure, the Missouri Valley Conference champs cracked our top 10 on the strength of their maroon-and-gold design featuring "Loyola" in cursive. 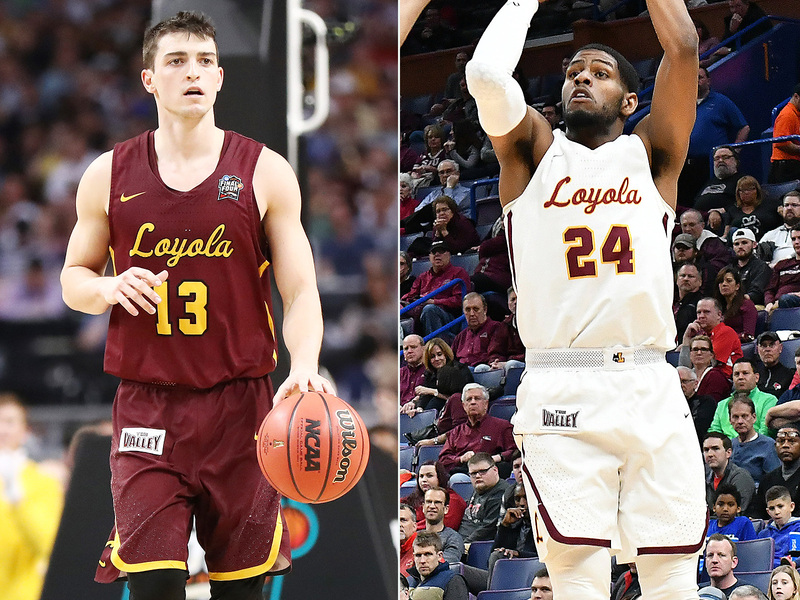 And while you saw plenty of the maroon in March—Loyola-Chicago was never the higher seed during its run and therefore wore its road jersey all the way to the Final Four—its white home uniforms (above right) are pretty sweet themselves. The Hurricanes truly utilize their school colors, going all-in on an array of uniforms in which white, green, orange and black take turns as the dominant color. Beyond the four pictured above, Miami also used an orange version of the white and green ones on the left and even a white/gray blend look. Together, the uniforms make up one of the most colorful sets in college hoops. It probably isn't a coincidence that all four teams from the 2018 Final Four ended up in this top 10. The Wolverines round out the list behind a set of three uniforms that emphasize the maize and blue and combine a traditional look of lettering and numbering with the Jordan Brand style. Jordan Brand, by the way, did well for itself on the list, trying Adidas and non-Jordan Nike with three schools on this list. Wichita State, Notre Dame, Syracuse, USC, Gonzaga, Florida State, Houston, Rhode Island, Florida, Nevada, Kentucky, Oregon.